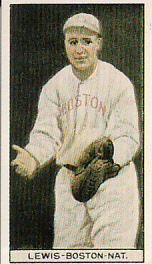 Duffy Lewis T-207 reprint card from the 1980s. NrMt-Mt or better. ONLY ONE AVAILABLE FOR SALE.